Some writers may spend time and emotional energy trying to determine if or when they will be a “real” writer. Just like other stereotypes, the ones about writers can persist whether they are accurate or not. In her chapter “The Personalities of Creative Writers” of the book The Psychology of Creative Writing (by creativity researchers Scott Barry Kaufman and James C. Kaufman), Jane Piirto discusses actual traits of many writers, and includes a section on Ambition and Envy. “Other writers who, like Boyle, have studied at the famous Iowa Writers’ Workshop have also asserted this ambition,” she adds. What are other qualities of writers (and creative people)? Here is one article that explores some of them. All writers are creative types, with cluttered desks, and messy piles, right? To be a good writer, one lives on coffee and stale potato chips only coming up for air when the book’s done, right? Maybe. Or maybe we as writers have convinced ourselves that this is how a “real” writer acts. Writers spend so much time trying to determine when they will be a “real” writer. Just like the stereotype that all accountants wear green eyeshades, the stereotypes about writers persist whether they are accurate or not. 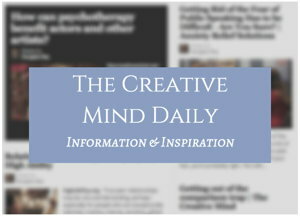 Writing is generally considered a creative “right-brain” activity. However, you don’t have to turn off the left-half of your brain to be a writer. The best writers learn the secrets of when to use their right-brain and when to use their left-brain. The most successful writers realize that writing is a business, and just like any other business, a certain amount of organization and timeliness is required. The best writers can read their mood. On creative days, they crank out the pages to their novel. On left-brain days, they send out invoices, clean out their files, and clean off their desks. Certain personality types crave “messes.” The clutter makes them feel comfortable. But it also eats away at their writing time since they spend it searching through piles of papers and old half-eaten sandwiches. The secret for the messy writer is to confine the messes to a “messy zone.” The messy zone is limited to one shelf in an office or the basket next to a reading chair. The mess is still there for the comfort factor, but it doesn’t take over. The procrastinating writer writes the book but never sends the manuscript. Their brilliant ideas pile up, but they never send a query. There’s always a better time…later. Unfortunately, the procrastinator never feels the joy of success. The procrastinator needs rewards, and lots of them. 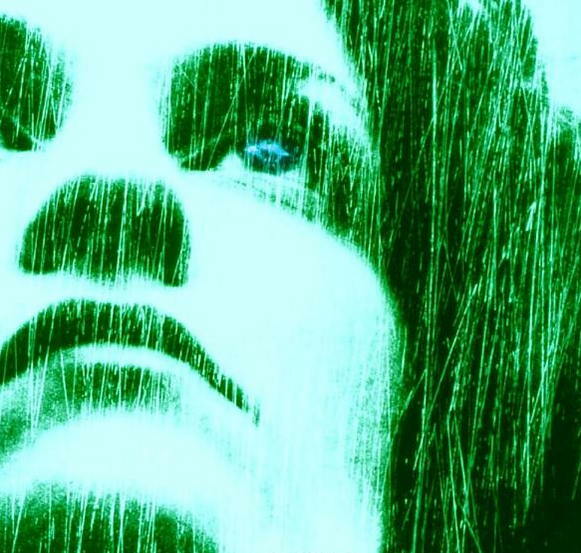 By planning wonderful rewards for simple acts, the procrastinator realizes the best time to write isn’t later. It’s right now. The perfectionist writes the book but never finishes it. They are constantly revising, editing and reworking. This time eater takes away the fun of writing. Since nothing is ever good enough, what’s the point of writing anything? What is a real writer? It’s actually anyone who puts words to paper and sends them out into the world. And while anyone can sit down with a word processor, only real writers overcome the personality traits that could sidetrack them. “It’s more like anger at the idea of perfectionism. It’s the way that beauty is sometimes treated and fetishized in a really cruel way. It’s an idea about perfection that isn’t only about beauty, it applies to a lot of ideas and attitude about life. See list of books by Mary Gaitskill. 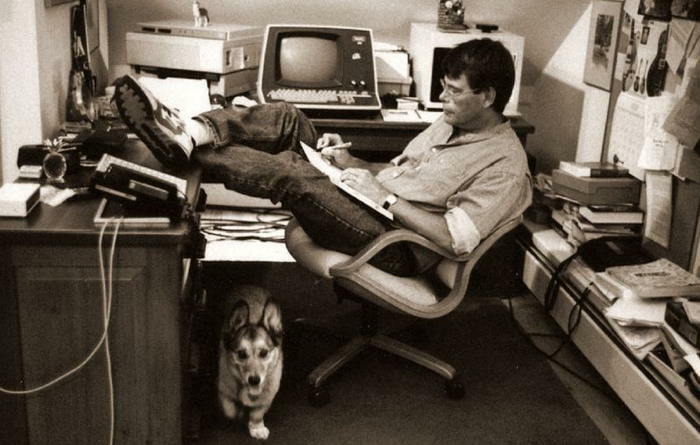 Photo at top: Stephen King at his desk, by Jill Krementz in her book The Writer’s Desk. It also is used for King’s own book On Writing: A Memoir of the Craft.